Stage and screen performer John Barrowman has thrown his support behind Truro Cathedral's choral music. 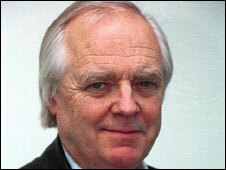 Sir Tim Rice had invited Barrowman to perform at the cathedral to help raise funds for a new supporters' club. The aim of the club is to improve the choral music the cathedral offers both inside and through its outreach to local schools. West End musical star Barrowman said "razzamatazz" was not always necessary to make music exciting. The Scottish-born entertainer was part of a star-studded sell-out concert which was held in the cathedral earlier this month. The event was Sir Tim's first event in his new role as the cathedral choir's musical patron. The choir is made up of 18 boys and 12 men. Its repertoire is wide-ranging, encompassing music from the 14th to the 21st Century. Barrowman is perhaps best known for his role of Captain Jack Harkness in the BBC dramas Torchwood and Dr Who, both created by Russell T Davies. He has also starred in a host of successful West End musicals, including Evita and Chess - both written by Sir Tim. The performer was also one of the judges on the talent shows I'd Do Anything, Any Dream Will Do and How Do You Solve A Problem Like Maria in which the public chose new leads in the West End musicals Nancy, Joseph and the Amazing Technicolour Dreamcoat and The Sound of Music. Joseph was one of the many musicals also written by Sir Tim in collaboration with Andrew Lloyd Webber. Sir Tim was inducted into the Songwriters Hall of Fame in 1999 and later this month is due to receive a star on the Hollywood Walk Of Fame. "Everyone in Pembrokeshire has gone Connie crazy"